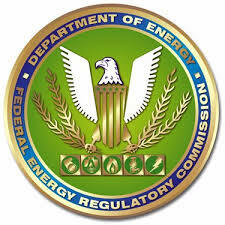 In a split decision, the Federal Energy Regulatory Commission (FERC) has reinstated its authorizations issued to Transcontinental Gas Pipe Line Company, LLC; Sabal Trail Transmission LLC; and Florida Southeast Connection LLC concerning the Southeast Market Pipelines (SMP) Project. Those dissenting were Commissioner LaFleur and Commissioner Glick. There is no way to determine the significance of the SMP Project’s downstream GHG emissions using the Social Cost of Carbon tool, which estimates the monetized climate change damage associated with an incremental increase in carbon dioxide emissions in a given year, or other methodologies. The Social Cost of Carbon tool is not useful in determining whether, and under what conditions, to authorize a proposed natural gas pipeline project. On Sept. 27, 2017, in response to an opinion issued by the United States Court of Appeals for the District of Columbia on Aug. 22, 2017, FERC released a new draft supplemental environmental impact statement (SEIS) for the project, which reinforced the commission’s initial ruling stating if appropriate measures were taken, environmental impacts would be minimal. The commission also reached the same conclusion in their final environmental impact statement for the project, issued Feb. 5, 2018. The Southeast Market Pipelines Project is composed of three separate, but related, interstate natural gas transmission pipeline projects. These projects are: Transcontinental Gas Pipe Line Company, LLC’s Hillabee Expansion Project, Sabal Trail Transmission, LLC’s Sabal Trail Project and Florida Southeast Connection, LLC’s Florida Southeast Connection Project. Together, these projects involve the construction and operation of approximately 685 miles of pipeline and associated facilities.